We cooked this dish while camping in France and it was a great side dish for all sorts of barbecued meat. It’s also a great idea for using up leftover sun-dried tomatoes which can easily get forgotten in the back of our fridge. Put the couscous into a large bowl, pour over boiling water to cover, then leave to soak for 20 minutes or until the water has been absorbed. Marinate the feta in the balsamic vinegar and olive oil for about 20 minutes. 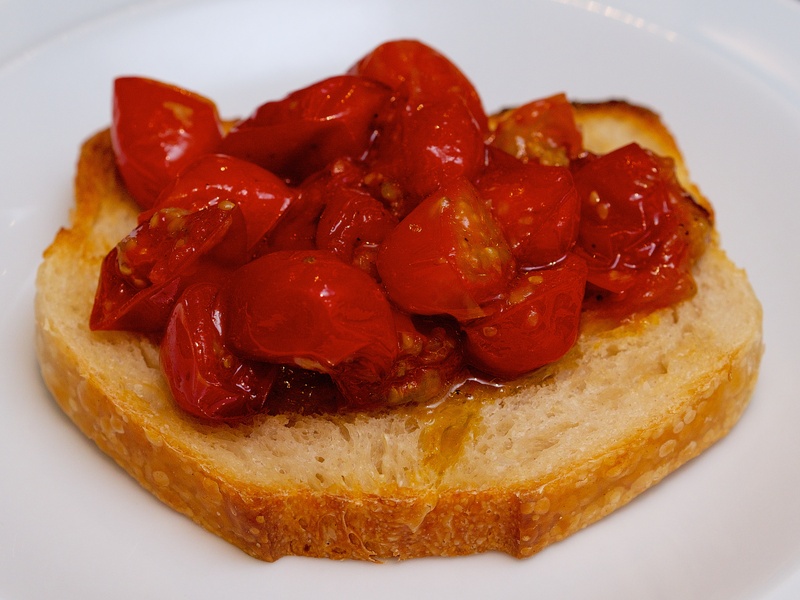 Chop the cherry tomatoes and sun-dried tomatoes and mix together. Crumble the marinated feta into large pieces, then fork through the couscous with the tomatoes and basil and season to taste. A colourful spring side dish that goes really nicely with roast lamb. You can cook the beans in advance and just warm through with the tomatoes and balsamic when you’re ready to serve. 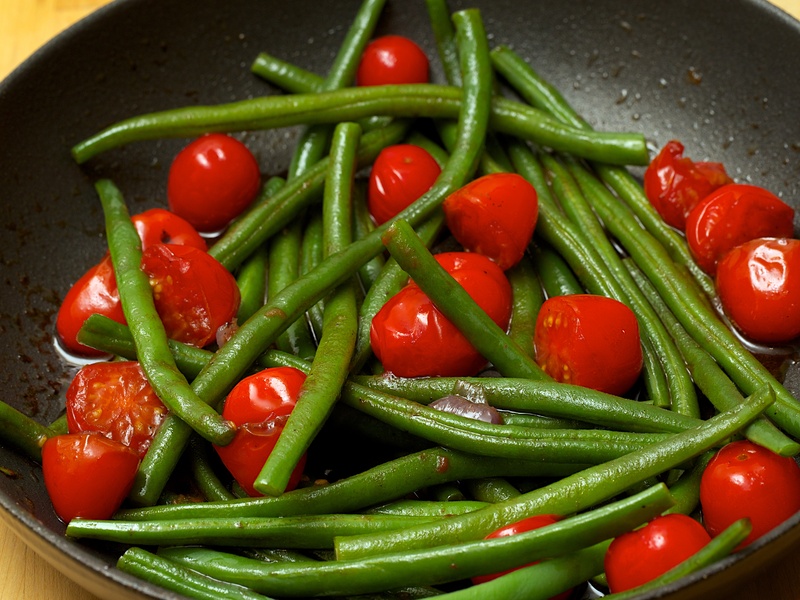 Trim the beans and cook in boiling salted water for 6-8 minutes, or until just tender. Drain and cool under running cold water. Store in the fridge until needed. Heat the oil in a pan, then add the tomatoes and fry gently for 2-3 minutes, or until slightly softened. Season well, then splash in the balsamic vinegar. Warm through, then tip the beans into the pan. Stir well, then cover and warm through for a few minutes.